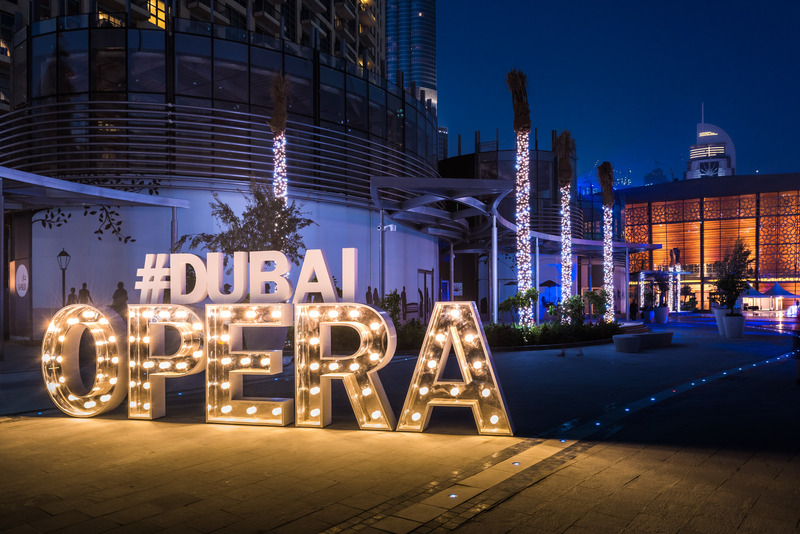 Dubai UAE, 30 August 2018 – When Dubai Opera opened its doors on the 31st August 2016, few could have predicted the level of success that the venue has experienced in just 24 months and there is no sign of slowing down. 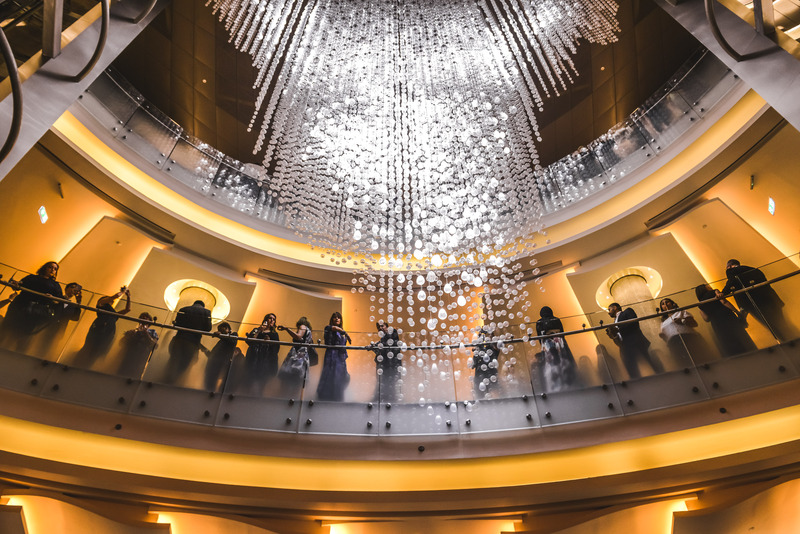 This year, Dubai Opera has welcomed more than 425,000 visitors through its doors to enjoy over 400 spectacular performances. Over the past 12 months, guests have been witness to classical and pop concerts, musicals, ballets, opera, comedy and unique one-off performances, as well as a number of high-profile events, such as an address by India’s Prime Minister Narendra Modi, the Arab Reading Challenge, The Hamdan Bin Mohammed Bin Rashid Al Maktoum International Photography Awards (HIPA), the first female ceremony for an Arabic wedding, held in spectacular style in the auditorium in flat floor mode and of course the exquisite Iftar, to celebrate the Holy Month of Ramadan, which was visited by more than 15,000 people. Comedy Night, in association with Arts Canteen’s “Arabs Are Not Funny”, is back by popular demand for the second time this year on 1st November, with an exciting new line-up of comedians! This November, audiences will be left in stitches as Welsh-Egyptian comic, Omar Hamdi (who is no stranger to the Dubai Opera stage having performed in the first Comedy Night in July 2018) takes to the stage, along with Fatiha El Ghorri, Nabil Abdulrashid and Maria Shehata. Fatiha El Ghorri, will be tackling some slightly controversial subjects such as Islamophobia and dating by sharing her own endearing experiences. Nabil Abdulrashid, a dynamic and charismatic comedian, will be bringing his wit straight from the ITV and BBC studios in the UK to the Dubai Opera stage. Finally, Maria Shehata, the Egyptian American comedian, will charm audiences with her conversational delivery and no-nonsense sardonic demeanor, as she completes this already fabulous line up. Tickets start from just AED 95. Guy Manoukian, the internationally renowned Lebanese Armenian composer and pianist, commonly referred to as the ‘Master of World Music’, will be bringing his talents to the Dubai Opera stage on 17th November. This sensational, not to be missed concert, will feature the talented composer’s best pieces in addition to a selection of Arabic classics, by Om Kalthoum, Abdel Halim Hafez, Zaki Nassif and other favourites. Manoukian’s unique fusion of oriental melodies amalgamated with modern arrangements, makes him one of the most relished artists of today. Tickets start from just AED 175. Arguably one of the world’s most sought-after guitarists, Milos Karadaglic is set to wow audiences on the 26th November. This renowned musician continues to delight audiences worldwide with his carefully curated repertoire, which he will be bringing to the Dubai Opera stage. Karadaglic has worked with many of the world’s leading orchestras and conductors, performing in some of the greatest concert venues on the planet. He’ll be performing his new set, The Voice of the Guitar, that has been curated to reflect his musical journey and portray the things that are most important to him. Tickets start from just AED150. The one and only British rock band, Feeder, will be taking to the Dubai Opera stage on 27th November for an unmissable evening of music. Ranked as one of the UK's most successful chart acts from the past 50 years, the classic band will be treating audiences to a show filled with nostalgic hits from the 90’s and 00’s, including Buck Rogers, Feeling a Moment and Just the Way I’m Feeling, as well as their more recent songs including Another Day on Earth and Seven Sleepers. With ten studio albums, 40 singles, multiple arena tours and festival headlines under their belts, this this one-off show at Dubai Opera is set to be a night to remember. Tickets start from just AED 150. For a special festive treat, a beautiful and unique multi-media performance of The Nutcracker and I, by pianist Alexandra Dariescu, will be coming to Dubai Opera on 12th December. This stunning new take on the cherished story will be told through different mediums, encouraging audiences to feel part of the wonderful production. On stage will be a grand piano, played by the talented ariescu herself, with a ballerina dancing in the background behind a see-through gauze screen. Projected onto this screen and bringing the story to life, will be exquisite digital hand-drawn animations, which follow the music and engage live with the pianist and the ballerina. Tchaikovsky’s beloved music features throughout the performance, including Dance of the Sugar Plum Fairy, Arabian Dance, Pas de Eux and The Flower Waltz, all of which are bound to get the audience in the festive spirit. Tickets start from just AED 250. Children below 12 years of age get a 50% discount. Now in its 123rd year, the BBC Proms is a much-loved British tradition that aims to bring the best of classical music to as wide an audience as possible. Following the huge success of the inaugural BBC Proms Dubai in 2017, the iconic Festival return to Dubai Opera to be staged over four days from 19 to 22 March 2019, with charismatic host and BBC Radio 3 presenter Petroc Trelawny once again leading the five concerts of the BBC Proms Dubai 2019 towards the Last Night of the Proms – Dubai style. Highlights of the festival include the world premiere - Tmesis - from the exciting British composer Bushra El-Turk, drawing on her Lebanese roots. The BBC Singers will showcase some of the most exciting Choral music of the last 100 years in a programme that ranges from Gershwin to Abba, Francis Poulenc to Laura Mvula. The premiere in Dubai of Beethoven’s great choral symphony No. 9, conducted by Richard Farnes and with a hand-picked quartet of British soloists, the BBC Singers and the newlycreated Dubai Opera Festival Chorus. Accordion virtuoso Ksenija Sidorova gives a jazzinfused Late Night Prom. Finally, hosted in convivial style by Petroc Trelawny, The Last Night of the Proms will bring everyone together for the kind of musical party every great music festival should have. Alongside the traditional musical elements of the Last Night, Elgar’s Pomp and Circumstance March No. 1 and Rule, Britannia!, the programme includes Stanford’s Songs of the Sea, the fiery passion of tango, and of Carmen, an exquisite Shakespeare setting for 16 soloists and orchestra by Vaughan Williams, and much more. 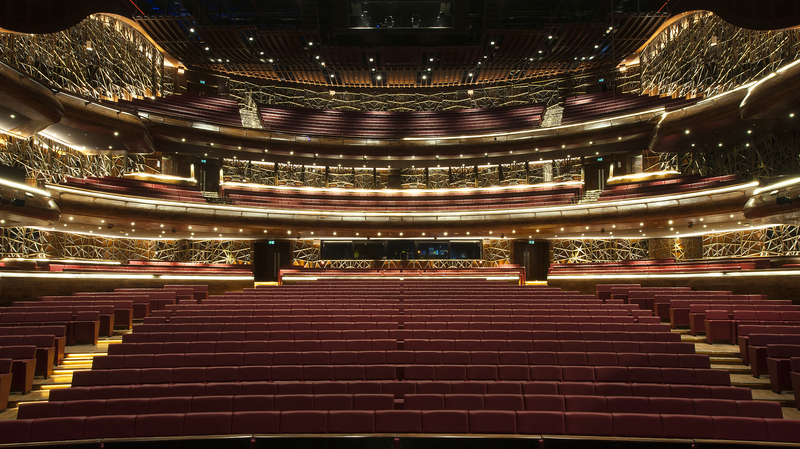 For the first time ever, Dubai Opera will be offering its visitors Exclusive Backstage Tours of the stunning venue one day a month. From the 7th September, audiences will be able to explore behind the tage, discovering the hidden world of theatre and seeing how each show truly comes together. Areas covered by the exciting new tour include the auditorium, backstage areas, dressing rooms, piano and trap room, sound room and the rarely seen seat storage area where the auditorium transforms into flat floor mode. All tours will share the fascinating story and architecture of the Dubai Opera building, while offering real insight into the production process. Tickets will be available to purchase from www.dubaiopera.com on Thursday 30th August at 10am. An early bird offer of 20% off on the top three seating categories will also be available until Thursday 13th September. Prices will vary per show. Disclaimer : www.DubaiCityGuide.com is not responsible for the content of external sites.